8th October, 2017: For the first time in years the artishocke e.V. put together a cultural event that eclipsed all foregone. In a cooperation with Le Tour Belgique, a full day program with authors reading from their latest creations, live music, performance and an art exhibition featuring the members of artishocke e.V. was presented to the audience. I had the chance to display my newest series of illustrations »Neue Welt« (new world) in the Reincarnation Art Academy, Cologne. 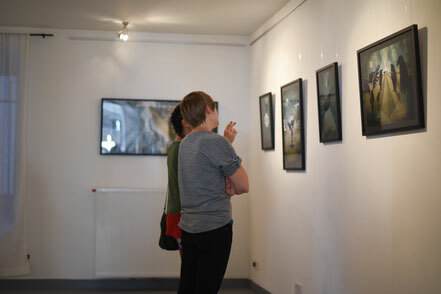 After our Artishockissage the exhibition proceeded for another two weeks. art-action in the belgian quarter! 18th April, 2015: For the first time ever »Le Tour Belgique« featured an Open Air Portfolio Show to go along with the standard program. 30 Cologne based artists got to beautify the lamp posts throughout the Belgian Quarter. 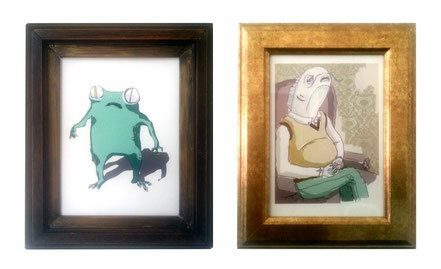 I had the honor of donating four big prints of my illustrations. 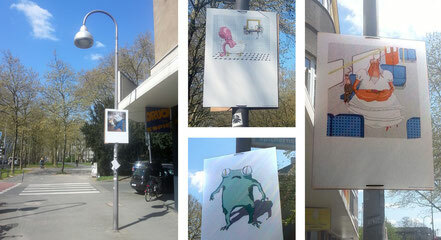 For 24 hours »The Frog«, »Krakebad«, »El Capitano« and »S-Bahn Hochzeit« could be viewed hanging off the lamp posts on Venloer Straße, right in front of the well frequented bar Das Scheue Reh – a great opportunity to show my work in public! I am looking forward to the next Open Air Portfolio Show in 2016. 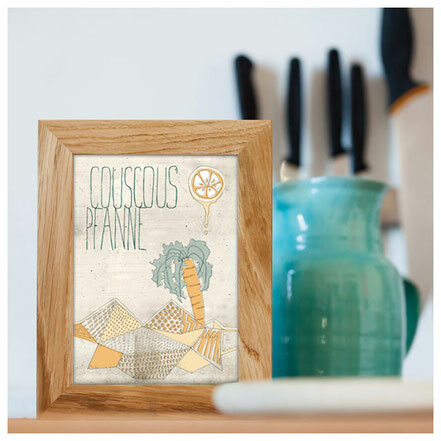 In November 2013 design and illustrations publisher Zeixs released the »52 illustrated Cooking Cards«, a collection of illustrated recipes, featuring a couscous dish, illustrated by me. September 2013: During the release party of the ninth issue of Colognes cultural magazine null22eins I got to show my work in an exhibition featuring several artists who participated in creating the magazine. 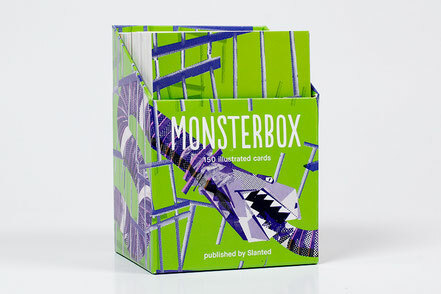 In May 2014 Slanted Magazine published its Monsterbox – »The Frog« is part of it! 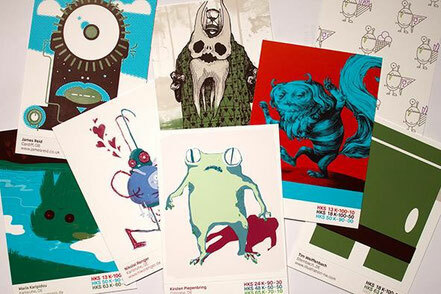 The Monsterbox is a collection of monstrous illustrations made by artists from all over the globe which shows the HKS color palette in various combinations. 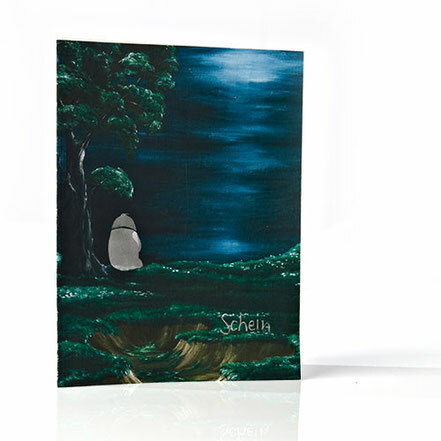 In the summer of 2013 my short comic »Schein« got to visit the beautiful city of Prague where it was showcased for the Edition Lidu Awards in B1 Center. Mockrát děkuji!